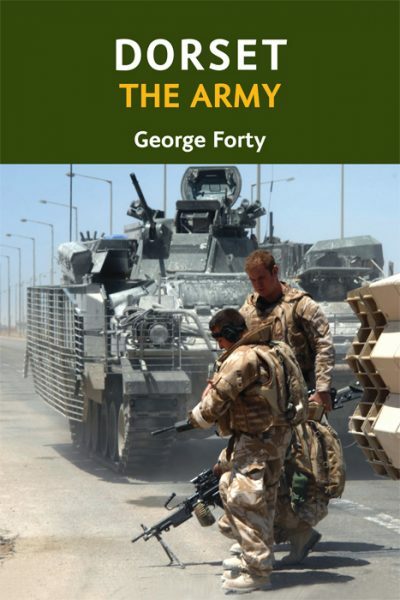 GEORGE FORTY, OBE, FMA, is a well-known military historian. He was born in London in 1927 and commissioned into the Royal Tank Regiment in July 1948, the first postwar intake from Sandhurst when it reopened. He went on to serve in the Korean War, being wounded in action in May 1953, whilst commanding a troop of tanks during the Hook battle. He then served all over the world including Aden, the Persian Gulf, Borneo and Germany. He retired as a Lieutenant Colonel in 1977 to begin a writing career, but in 1981, was appointed Director/Curator of the world famous Tank Museum in Bovington, Dorset, retiring in 1994, being awarded the OBE and made a Fellow of the Museums Association. He then became Editor of TANK, the Regimental Journal of the RTR, retiring for a third time in 2010. He and his wife, Anne, have lived in Briantspuddle for the past 31 years.